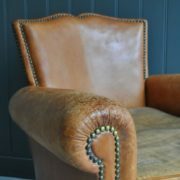 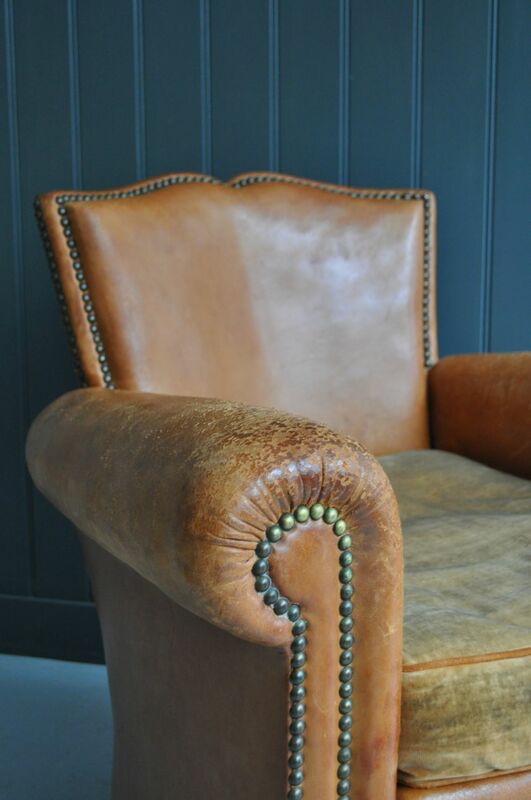 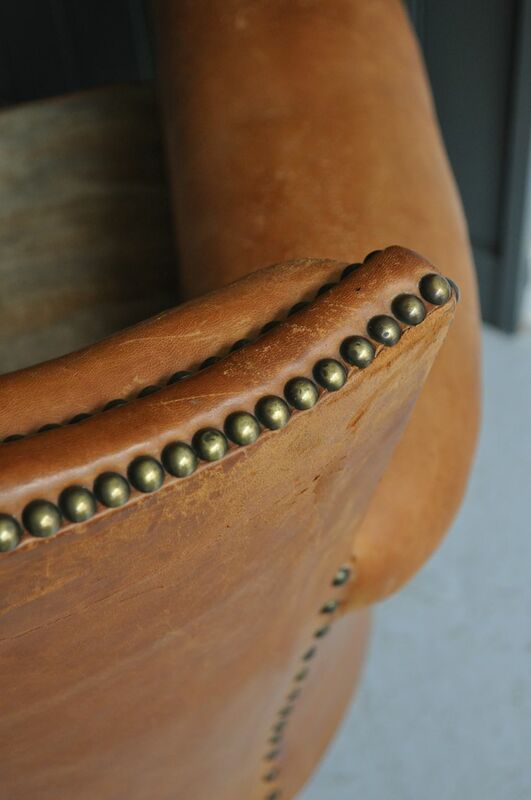 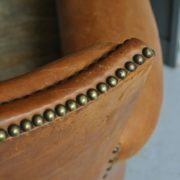 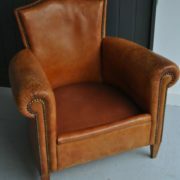 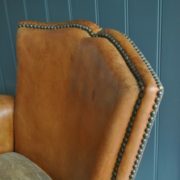 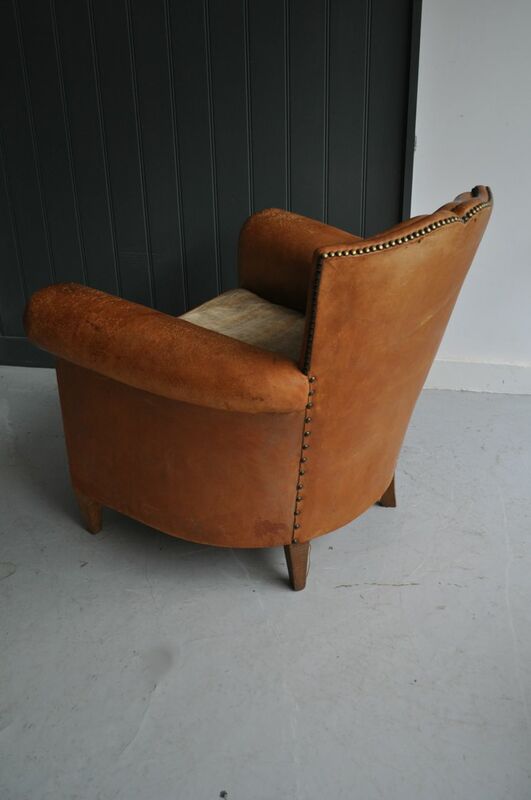 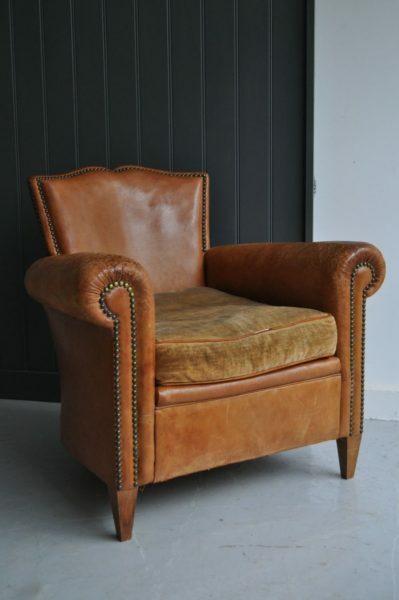 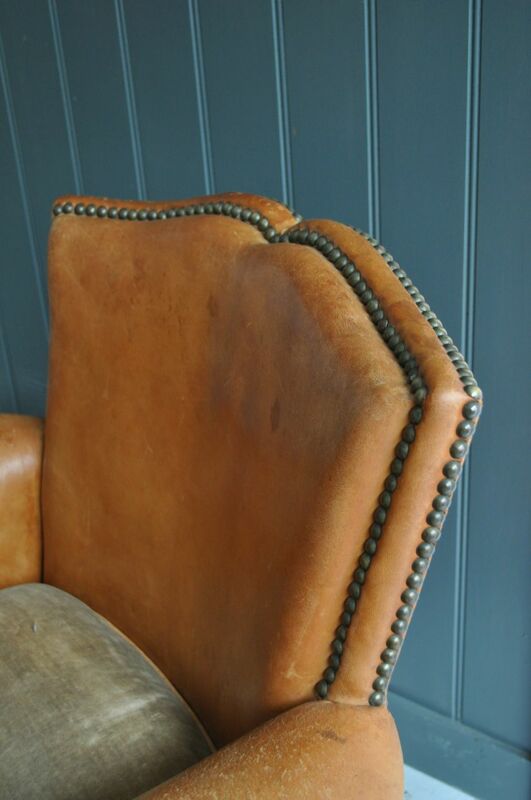 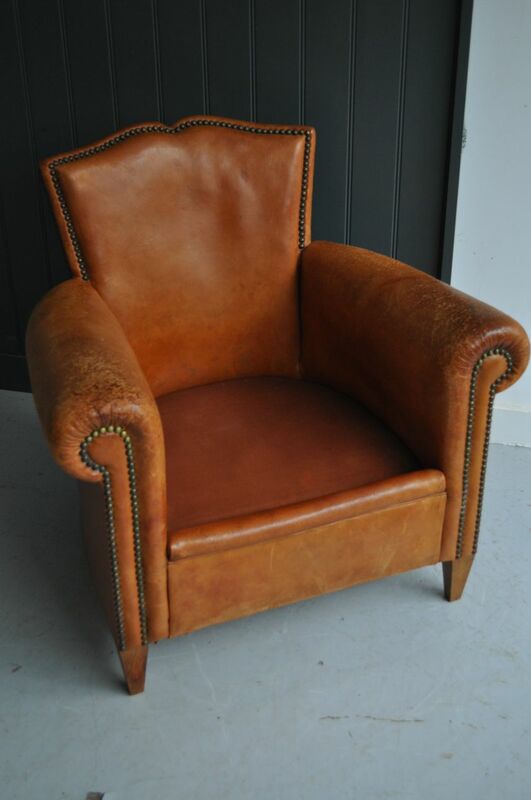 French leather armchair, with a lovely moustache-back design, and studding to the perimeters. 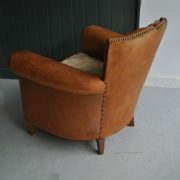 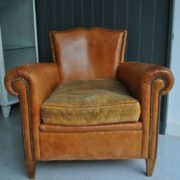 A really neat size, and very comfortable, with a feather-filled cushion in original faded gold velvet. 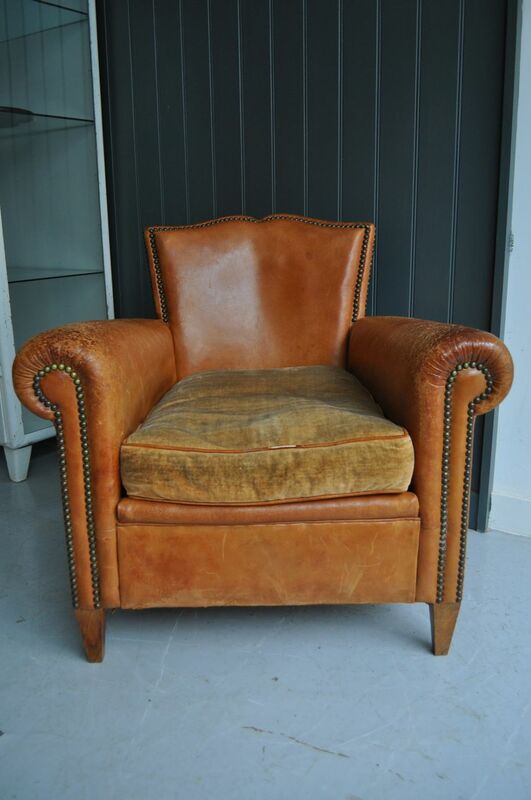 Super condition, with light wear in keeping with age.